This adorable baby cardigan is knit from the top down. The pattern also includes instructions for adult sizes too! To fit: 6 months (2 yrs, 6 yrs, 10/12 yrs, 33, 37)[41, 45, 49, 53, 61]"
Bust: 17 (21, 25, 29, 33, 37)41, 45, 49, 53, 57, 61"
Length: 7 (9, 11.5, 13.5, 15, 16.5)17.5, 18.5, 20, 21.5, 23, 24.5"
Spud & Chloe Small Fries Collection Patterns - Just Right Jacket - PDF DOWNLOAD is a similar pattern: 20 (5 sts. / inch) finished gauge, childs cardigan garment, for babies and children, and worsted (19-20 sts/4 in) yarn gauge. You may also like Taiga Hilliard Designs Patterns - Marian Shrug - PDF DOWNLOAD, which is another similar pattern: 20 (5 sts. / inch) finished gauge, childs cardigan garment, worsted (19-20 sts/4 in) yarn gauge, and worsted weight suggested yarn. 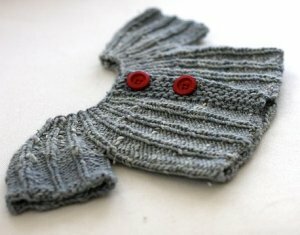 You may enjoy taking a look at the , and Malabrigo Lace Baby Merino Breezy Cardigan kits all using Knitbot Patterns. Hopefully our suggested yarn options for Yoked Cardigan can help you come up with your next exciting new project idea!